Are you looking for a new experience to ring in the New Year? If you want to feel on the top of the world and join some of the biggest parties hosted on the islands, Phuket is the place to be. New Year is an excellent time to visit this world-famous beach destination known for its vast stretches of white sand, glittering seas, palm trees, and idyllic towns. From the high-energy concerts and spectacular fireworks to floating stage performances and pyro artworks, Phuket has everything you could ask for to make your New Year eve special. Make sure you book your accommodation in advance as legions of party-people and tourists will flock to the island to be a part of the breathtaking celebrations! Here is a list of activities you can enjoy during a New Year in Phuket. Beach clubs are the newest trend in Phuket and catching up fast! Sea, sand, beach bars, and a pleasant ambiance come together to create a recipe for success. With more than 30 beaches in and around the island, the clubs have become hot spots for tourists and locals alike. Treat yourself with mouth-watering seafood delicacies and tap a leg with the fantastic crowd as you countdown the New Year! Most of the clubs host parties and special events for the New Year. So, you can enjoy the laid-back atmosphere during the day and at night, get ready to put on your dance shoes as the DJ invites you to the floor. The popular beaches where you can find some of the best beach clubs are Patong Beach, Iguana Beach, Kamala Beach, Karon Beach, and Bangtao Beach. The sun-kissed beaches and turquoise blue water summon the young and young at heart to try out some of the most exciting water sports. A beach holiday is incomplete until you dive into the water and swim with colorful schools of fish. Go snorkeling and scuba diving in the azure water of the Andaman Sea to discover the spectacular coral reefs and marine life. Those seeking an extra dose of adrenalin rush can try activities like surfing on the waves or jet skiing with the winds. If you wish to enjoy something leisurely, go kayaking in the calm waters to explore the limestone caves, karst outcrops, and hongs. Some of the other fun activities you may try alone or with your partner are parasailing, banana boat ride, flyboarding, and wakeboarding. Trained professionals and lifesavers are present on all beaches to guide you and keep you safe. When planning a New Year holiday in Phuket, set aside an extra day or two to explore the neighboring archipelagos on a yacht or a longtail boat. You can take day trips to the Phi Phi islands, home to Maya Beach, Monkey Beach, and the Phang Nga Bay. They are famous for the spectacular limestone karst formations that emerge out of the jade-green Andaman Sea and aim for the dense jungles on land. If you are looking to put on your diving gear and explore the world undersea, the Similan Islands is a great location. Most of these islands attract a lot of tourists all year round. However, a little farther away from Phuket, you can discover a few hidden isles where you can meet locals who follow the traditional Thai life. If you have an extra day at hand, visit the two beautiful national parks, Khao Sok National Park and Mu Ko Similan National Park. The Khao Sok National Park is about 150 kilometers away from Phuket, and it presents a visual treat made of lush green forests, dazzling waterfalls, deep blue lakes, and towering limestone peaks. 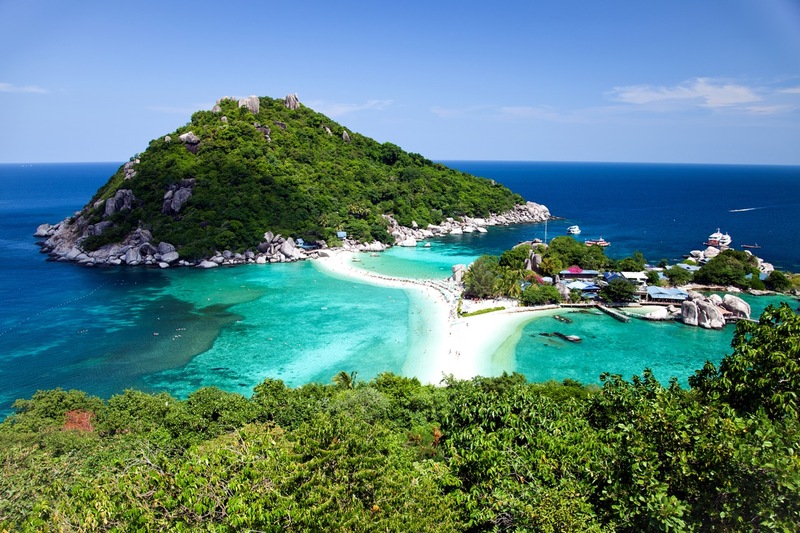 The Mu Ko Similan National Park is located 90 kilometers offshore from Phuket, and it features powdery beaches, lush hills, hiking trails, and turquoise sea water with an abundance of exotic marine life. A New Year is a new beginning to set new goals and achieve new milestones. When you are in Phuket, take this opportunity to seek blessings from Lord Buddha in the beautiful incense-cloaked temples around the island. These temples are worth visiting to get an insight into the exquisite Thai architecture and serene ambiance that surround them. Some of the temples are over 500 years old, and visiting these shrines is like taking a walk back in time. The Wat Phra nang Sang is the oldest temple in the island at 545 years old. You can see Buddha statues made of tin, from an era when tin was a semi-precious metal. Another famous temple is the Wat Khao Rang where you can see a larger-than-life statue of golden Buddha. The Phuket Big Buddha is one of the island’s most important landmarks. It sits atop the beautiful Nakkerd Hills and can be seen from a distance. Most of the Buddhist temples are open to tourists, and friendly monks welcome questions about Buddhist religion and culture. Being close to animals, especially one as majestic as an elephant kindles a strange but wonderful feeling. Being in the presence of another living creature allows people to discover a sense of selflessness. It offers a chance to see things from a different perspective. Phuket Elephant Sanctuary gives visitors this unique experience. The jungle sanctuary is retirement home to elderly elephants who have spent decades laboring in the logging industry. Here, you can feed and walk with these gentle giants in their natural habitat. Bangla Road is where the party hoppers come together to bring the house down with loud music and stunning performances. As the party hub of Phuket, this road is dotted with an array of bars and nightclubs. If you don’t already have a plan, hop in and out of a few clubs until you find a place that complements your style! Some of the popular nightclubs are Illuzion Show & Discotheque, Seduction Nightclub, White Room Nightclub, New Tiger Disco, and Hollywood Phuket. If you prefer the idea of partying outdoors, head to Paradise Beach, which is Phuket’s answer to the notorious Full Moon Party held in Koh Phangan. Paradise beach is a tropical haven by day, but as the sun goes down, it turns into a wild party zone with loud music, dazzling lights, and international DJ to make people groove. Dance all night long or take a walk by the beach to feel the moments passing by. A beach holiday in the tropical island is incomplete until you bask under the sun and enjoy a traditional Thai massage. The aromatic oils and incense sticks create a symphony to rejuvenate your body and soul. A professional massage can help relieve stress, headaches, muscle strains and improve blood circulation. Welcome the New Year in Phuket by purging out stress and feeling healthier inside out! New Year in Phuket will be all fun, merriment, wild parties, and loud music. When you are tired and need to relax, a private villa will give you a comfortable and tranquil haven amidst the loud celebrations. Spend some moments of peace with your family, soak in the beauty of awe-inspiring natural vistas, and enjoy the world-class facilities offered at our private luxury Phuket villas collection. 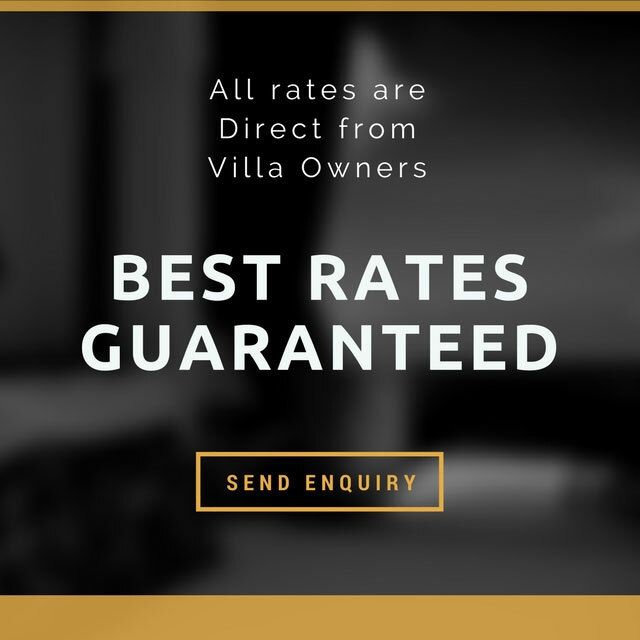 We offer handpicked villas that are strategically located to keep you away from the madding crowd yet well connected to the key party areas and important landmarks on the island. Staying in a private villa is a great way to pamper yourself and your family as a well-spent year draws to an end and a new one awaits with new promises and resolutions.